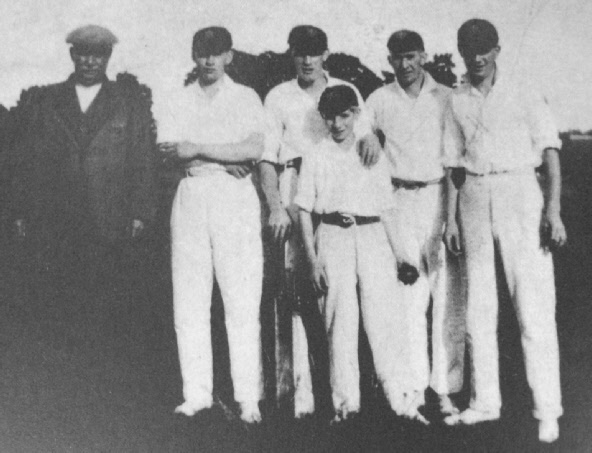 This is an article about my ancestors and so will be of little interest to many, except that it illustrates how a labouring family meandered around the Hertfordshire countryside before settling in Preston for around a century. Charles and Mary (nee Bray) Gateward - my greatx5 grandparents. Charles Gatward from Offley, married Mary Bray from Ashwell at St Mary’s, Hitchin (right) on 30 September 1722. Why did they chose St Mary’s for their wedding? Offley is four miles south-west of Hitchin and Ashwell, seven miles north-east. Perhaps they married in St Mary’s as it was mid-way between the two parishes. Charles was described as a labourer. 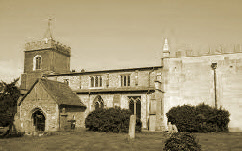 The couple resided in Offley and had three children including my ancestor, Ann Gateward. 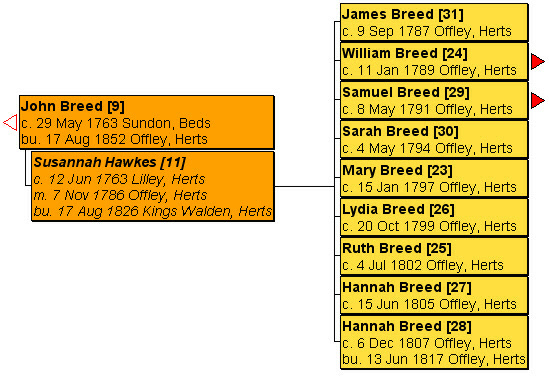 Mary and Charles died in Offley in 1757 and 1769, respectively. Charles remained a labourer. It comprised 5,500 acres of which 3,400 was chalk plough-land and 1,100 was grass. some other man whose name is concealed from us’. With an incredulous air, he baptised Robert, the son of Elizabeth who ‘says she is married to Robert Todd of Hexton in Middlesex, flax dresser’. Unsurprisingly, this marriage is not recorded in the International Genealogy Index. snr died, aged 82, he was living at Kinsel End, Kings Walden. 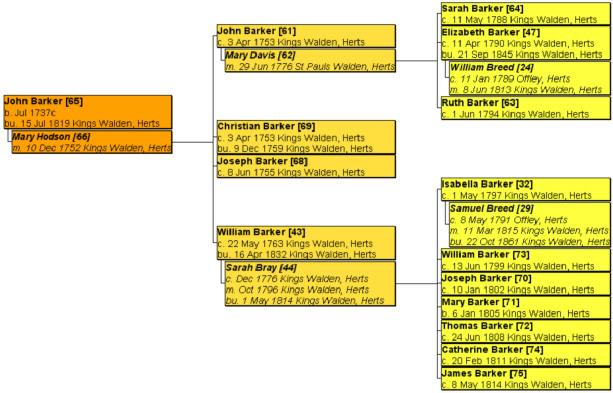 John’s grand-daughters, Elizabeth and Isabella Barker (who were cousins) married the Breed brothers, William and Samuel. 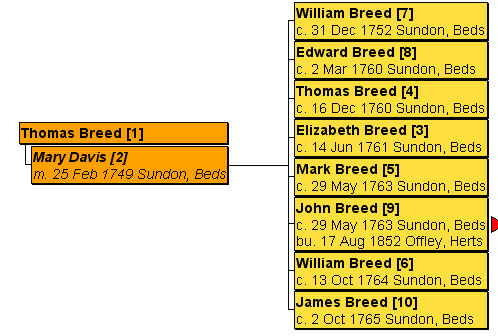 The earliest records of my Breed family are to be found in the parish register of the small village of Sundon in Bedfordshire. It was located four miles west of Offley and 3 ½ miles north-west of Luton. In 1831, Sundon had just 387 inhabitants - it was smaller than Preston. living with his grand-daughter. He was aged 89 when he died there. they were living at Kinsel End, Kings Walden where Elizabeth’s grandfather, John Barker, was living at the time of his death in 1819. Although William and Elizabeth returned to Offley to baptise several of their children, they continued to live at Kings Walden. In 1841 and 1851, they were living at Ley Green. Two of their daughters, Catharine and Docey had children out of wedlock. My line continues through their daughter Elizabeth who married Charles Wray in 1852. 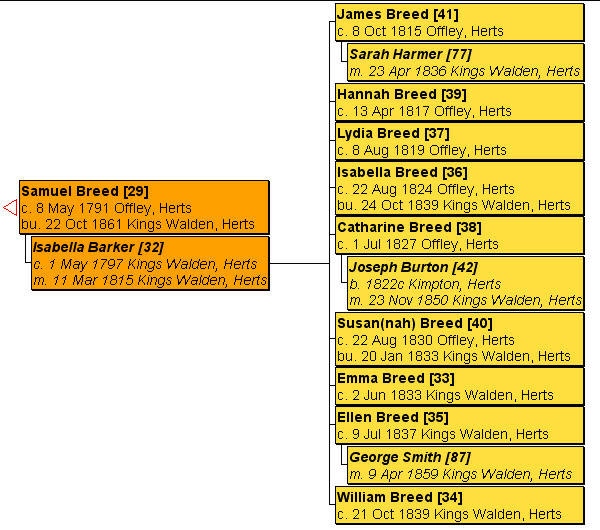 Yet despite all the evidence in the parish records and censuses to the contrary, when she married Elizabeth stated that her father was Samuel Breed. Perhaps this shows some antipathy towards her father, William. Samuel, another illiterate labourer, and Isabella followed the pattern set by William and Elizabeth - marrying at Kings Walden, living there and returning to Offley for the baptism of their children. After Samuel’s death in 1861, Isabella lived with her family and was with her daughter, Catharine and Joseph Burton in 1871, although living on parish relief. 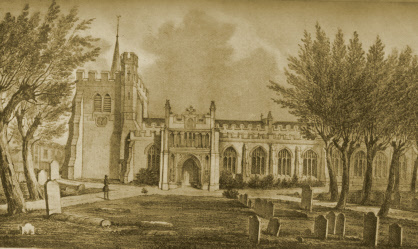 Hemel Hempstead in 1856. 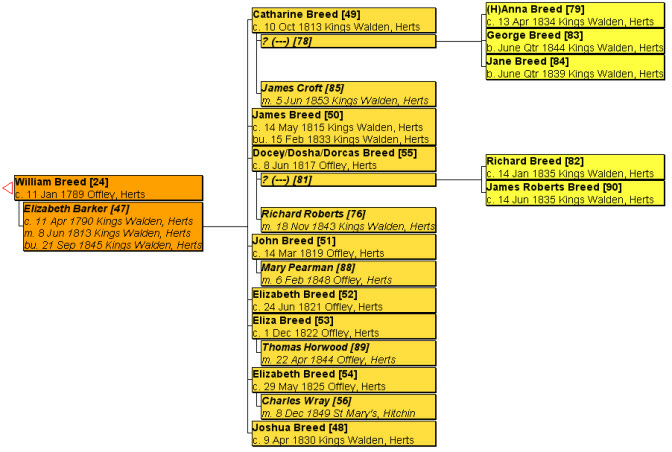 They had a son, George Breed who was born at Ippollitts in 1876 and who married Alice Dear in 1899. Charles Wray and Elizabeth Breed - my great grandparents. Dog Kennels Farm House, Charlton in 1871. He married twice and his second wife gave birth to their first child, Emma in the same year, 1858, as Elizabeth.